Incredibly beautiful--but wild--water greeted us at Clifton Heritage Park. 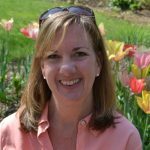 Photo credit: Julie Thompson-Adolf, Garden Geek Traveling Mom. 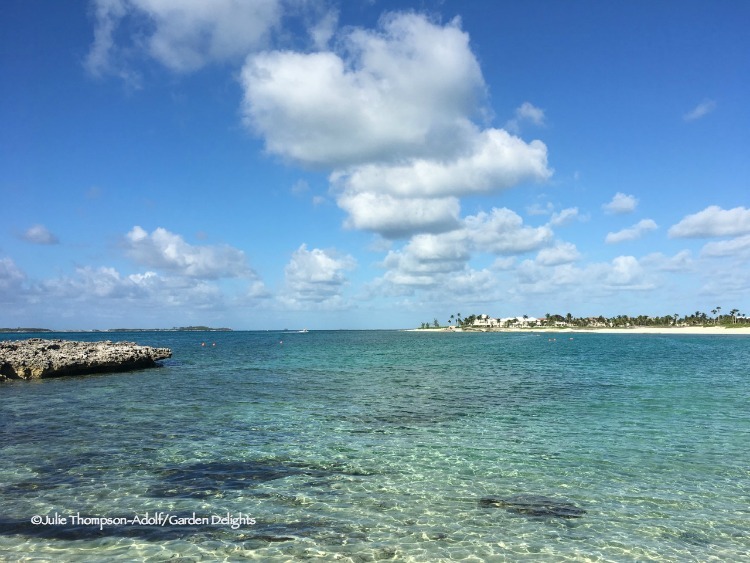 Looking for the perfect place to unwind and relax when visiting the Bahamas? Want space to spread your beach towel, instead of bumping elbows with tourists at the big resorts? Craving crystal clear waters to explore ocean wildlife? 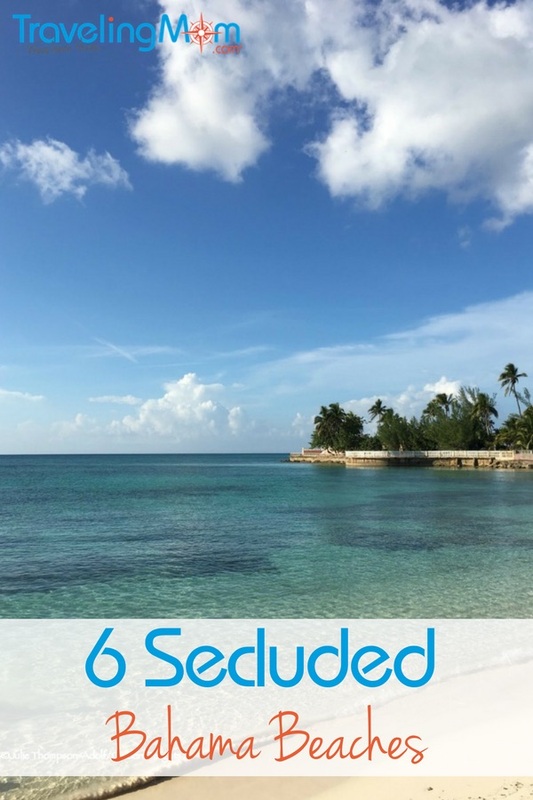 If so, you’ll want to add these six fabulous, nearly deserted Bahamas beaches to your vacation plans. 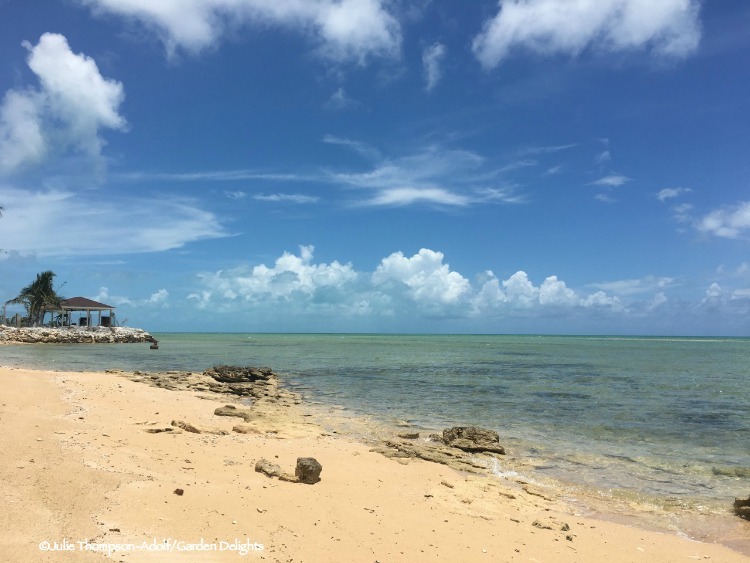 If you’re looking for solitude, terrific snorkeling, and gorgeous views, you’ll love the far east end of Cabbage Beach. Photo credit: Julie Thompson-Adolf, Garden Geek Traveling Mom. Finding Your Best Bahamas Beach: Follow the Locals. My family loves privacy. We’re not rock-star famous, and we don’t need to protect our identities. Still, our family prefers quiet, out-of-the-main-hub destinations, where we’re not subjected to someone’s blaring country music or second-hand smoke. We like space and prefer not bumping butts with the sun worshipper on the next towel over. Our idea of a blissful vacation involves nature adventures, cultural immersion—and amazing food. So, when we planned a last-minute trip to the Bahamas recently, I knew resort life wasn’t for us. 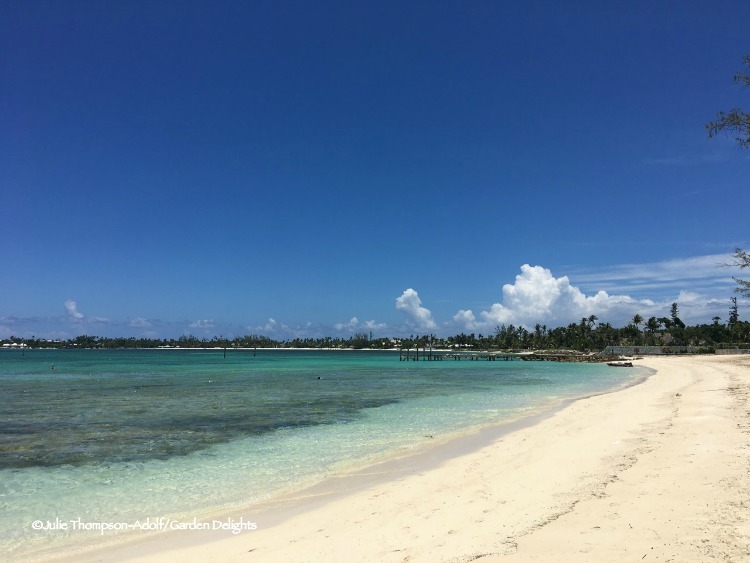 Instead, we rented a townhouse in a neighborhood outside of Nassau, reserved a car—and planned a week filled with finding off-the-beaten-path beaches to explore. 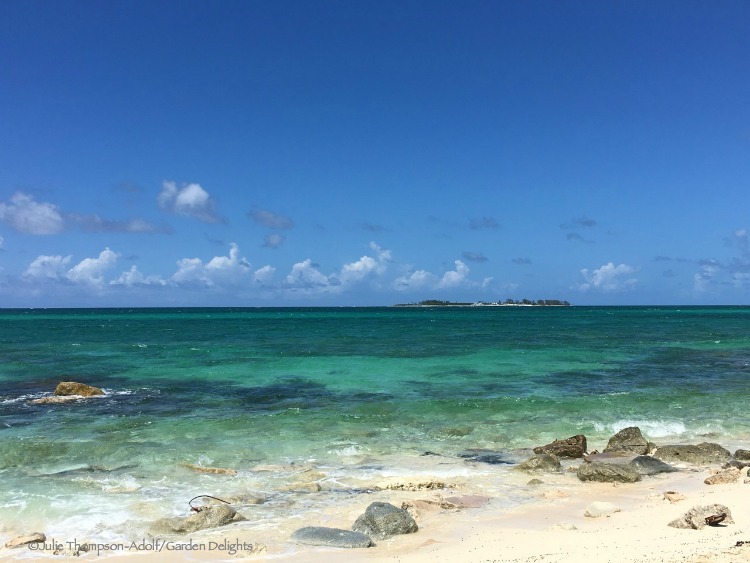 Armed with our trusty map from the rental car company, we headed out to find the best secluded Bahamas beaches ideal for snorkeling. Before we get started, here’s my true confession: I’m a wimpy swimmer and snorkeler. My husband and kids are fabulous, fearless swimmers and ocean adventurers, finding an octopus in Malta, sea turtles in Turks and Caicos, and fabulous fish in Gozo. So, I’m giving each beach a “Julie’s Happiness Rating” for snorkeling safety and easy access. 1 star means—this is where I slammed into rocks and ended up with a bleeding knee (which just healed, thank you very much). 5 stars: your kids will be perfectly safe here, because this is where I mastered snorkeling for hours of bliss, following the beautiful fishies! Our first Bahamas beach outing after we arrived in Nassau found us driving west along West Bay Street. (It’s the main road that follows the shoreline.) We’d already seen the masses of tourists swarming downtown Nassau, fresh off the cruise ships, so we knew we wanted to head in the opposite direction, away from the crowds. Wandering on our first day wherever we travel is always one of my favorite things. We hop in the car—and drive until we find something that looks interesting. As we cruised along West Bay Street, we found a place to pull off the road and park—directly in front of Rock Point Beach. There’s nothing like driving along the road, pulling over, and immediately jumping into the beautiful Bahamas water. Bliss! Photo credit: Julie Thompson-Adolf, Garden Geek Traveling Mom. If you’ve never visited the Bahamas before, prepare to fall in love with the color of the water. Aquamarine? Indigo? Sapphire? Whatever you’d call the colors of these waters, they will leave you in awe. I’m fortunate to have traveled and seen many beautiful beaches, but I’ve never experienced water with this many striking variations of blue-green—or as incredibly clear as in the Bahamas. We spread our towels, pulled out the snorkel gear, and headed into the water. The beach at Rock Point provides a lovely, easy access for snorkeling for wimps like me. I chased fish along the rocks where I could easily stand, if I got tired, while the family took off to deeper waters. Although I didn’t explore too far from shore, I found dozens of gorgeous fish. You know what we didn’t see? Tourists. A couple brought their dog to play in the water, and later, a family stopped by for an evening swim. Other than that, the beach was ours. 2. Best Bahamas Beach: Clifton Heritage Park. “There’s so much unrealized potential.” Honestly, that was my thought when we arrived at Clifton Heritage Park. 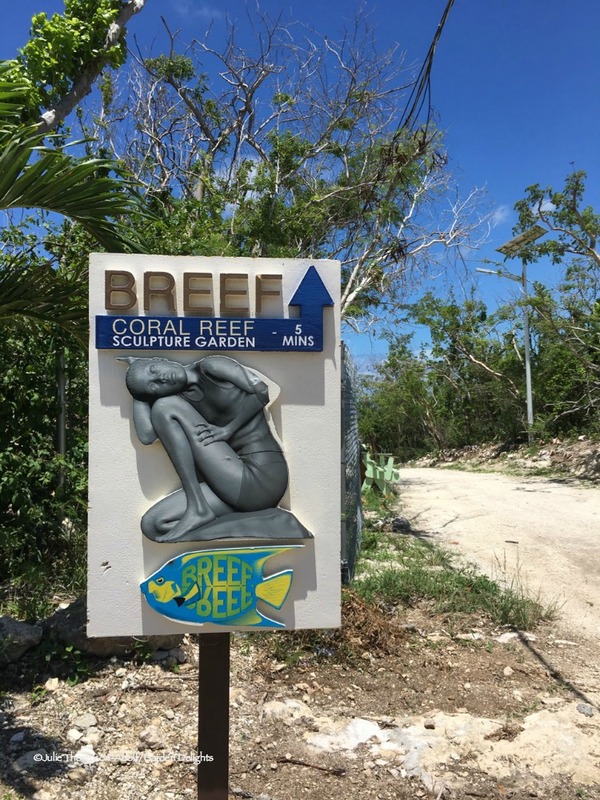 Located on a prehistoric Lucayan Village dating to AD 1000-1500, visitors can walk through ruins of slave quarters from an 18th-century plantation, visit the Sacred Space to meditate among the carvings of African women created in the casuarina trees, or explore fauna and flora along trails. It’s all a tad…shabby. It may be that it hasn’t recovered fully from the last hurricane, but the park could use a little TLC. We, however, arrived ready for snorkeling. I’m not quite sure how we took a wrong turn, but our first foray into snorkeling at Clifton led us to a boat ramp. We eventually figured out we were in the wrong place! Photo credit: Julie Thompson-Adolf, Garden Geek Traveling Mom. We paid our fee—yep, this snorkeling adventure isn’t a freebie—and headed off along the path to the ocean. After missing a turn that resulted in snorkeling off-course (I actually didn’t get in at the first stop—too scary for me), we found the legitimate snorkeling beach. The snorkeling draw to Clifton Heritage Park Beach is the underwater sculpture garden. My family took off into the water, while I gingerly stepped over slippery rocks and tried to slow my breathing. (I’m not kidding–I’m a really anxious swimmer.) The waves crashed around me as I tried to get in, and after being knocked into rocks for the third time, my bloody knee and I hobbled back to the beach to stay safely on my towel. Incredibly beautiful–but wild–water greeted us at Clifton Heritage Park. Photo credit: Julie Thompson-Adolf, Garden Geek Traveling Mom. As the Garden Geek Traveling Mom, I was disappointed that I didn’t make it out to snorkel in the underwater sculpture garden. The swim out to it was too far for my comfort level. My family assured me that I didn’t miss much. In fact, our daughter seemed perplexed when my husband mentioned the three sculptures—she only noticed one. Clifton Heritage Park offers an unusual underwater sculpture garden to explore. Our son had no problem swimming to it–but he’s an excellent swimmer. Photo credit: Julie Thompson-Adolf, Garden Geek Traveling Mom. They all were a bit perplexed when, after snorkeling for quite awhile, an attendant called them out of the water to put on life vests and to warn them about “fire coral,” which can cause serious pain. It might have been nice to know this before we started. Still, the beach is lovely—and we saw only three other snorkelers while we visited. The beach is gorgeous, but the snorkeling was too challenging for me. Watch your children carefully here—or have them watch out for you, if they’re the better swimmers! No fear–we didn’t spot any sharks at Jaws Beach! Photo credit: Julie Thompson-Adolf, Garden Geek Traveling Mom. Don’t worry—we didn’t spot any Great White sharks, although the theme song did play on a continuous loop in my brain. Jaws Beach is named for its inclusion in the final installment of the Jaws movies. It’s a great filming location. Instead of sharks, we found a lovely, empty beach. Our “tourist count” here was four, at the opposite end of the beach. (It is busier on holidays and weekends.) The snorkeling access is pretty easy, too. While the entry into the water is a little rocky, there are sandy patches along the shoreline that provide easier entry and exit, which I appreciated. Lots of fish to chase offered good entertainment for everyone. Our son found an enormous starfish—which he carefully showed us before returning it back to the ocean floor. One unfortunate note: there’s a marshy pond area behind the parking lot, which should be a lovely wildlife refuge. We saw plenty of birds—but their habitat was filled with trash. It was depressing to see newly hatched birds swimming among the mess. Easy snorkeling for me, interesting for the better swimmers—but I had to take off a star due to the trash in the wildlife refuge. No amenities here. If you want to pretend you own a private Bahamas beach, head to the east end of Cabbage Beach on Paradise Island. It’s spectacular. Photo credit: Julie Thompson-Adolf, Garden Geek Traveling Mom. 4. Best Bahamas Beach: Cabbage Beach. To experience the gorgeous Cabbage Beach, you COULD spend an incredible amount of your travel budget to stay in a mega resort, crowded with thousands of tourists invading your personal space on the beach. Or, if you’re crowd-adverse like my family, you can enjoy the peace and quiet of staying in a private Nassau townhouse, hop in the car, and pay $2 to cross the toll bridge to Paradise Island. Once we crossed the bridge, we headed east—away from the massive resorts, like Atlantis. Before reaching the gated golf course community on the far east of Paradise Island, you’ll see a sign to turn left for beach access. We parked near a smaller resort, then walked about 10 minutes east—until we found a beautiful, secluded bay on the very end of Cabbage Beach. Trust me. That 10-minute walk is worth it. Really, Cabbage Beach is mesmerizingly beautiful. Photo credit: Julie Thompson-Adolf, Garden Geek Traveling Mom. Cabbage Beach is where I officially earned my snorkeler stripes. (Is that a thing?) 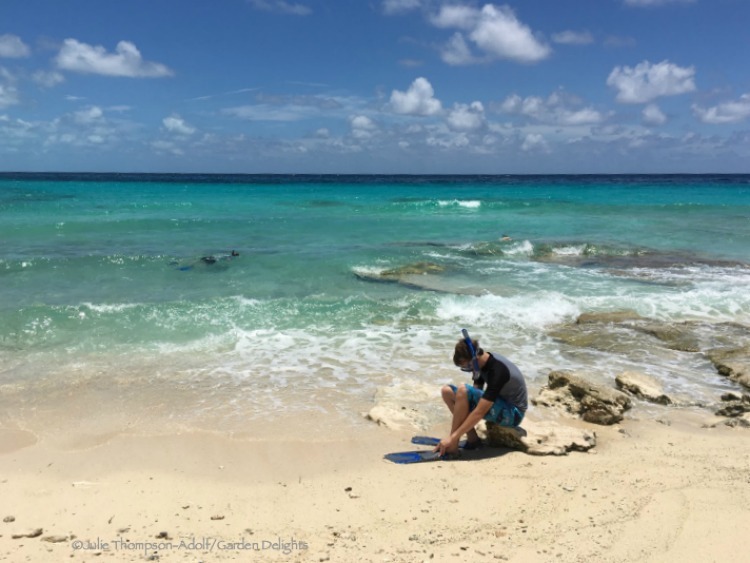 After all my years of trying to become more comfortable snorkeling, it took a trip to Cabbage Beach for me to overcome my nerves—and really enjoy snorkeling. Puffer fish, trumpet fish, flounder, and even a lobster—the underwater marine life entertained us all for hours. The best snorkeling can be found around the rocky outcrops, but even walking straight out into the bay provided plenty of fishy fun. 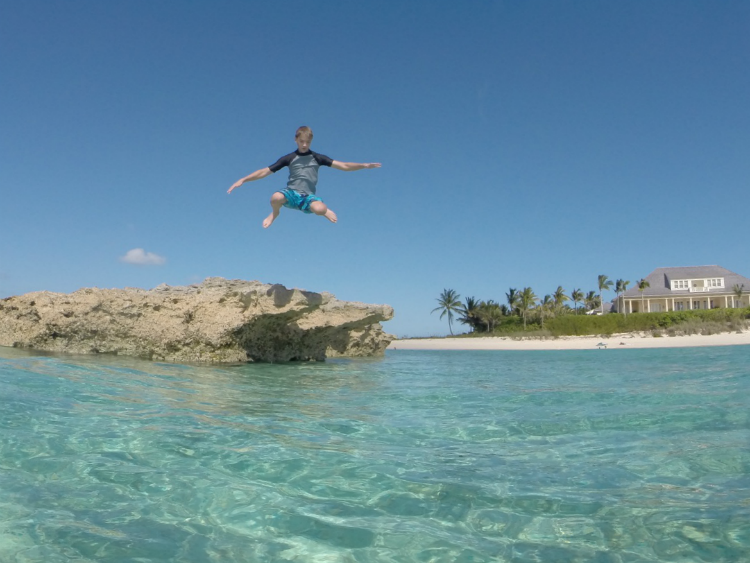 Our daredevil is equally at home snorkeling as he is jumping off rocks. Photo credit: Peter Adolf, husband of Garden Geek Traveling Mom. Our son loved showing off his daredevil skills, too. 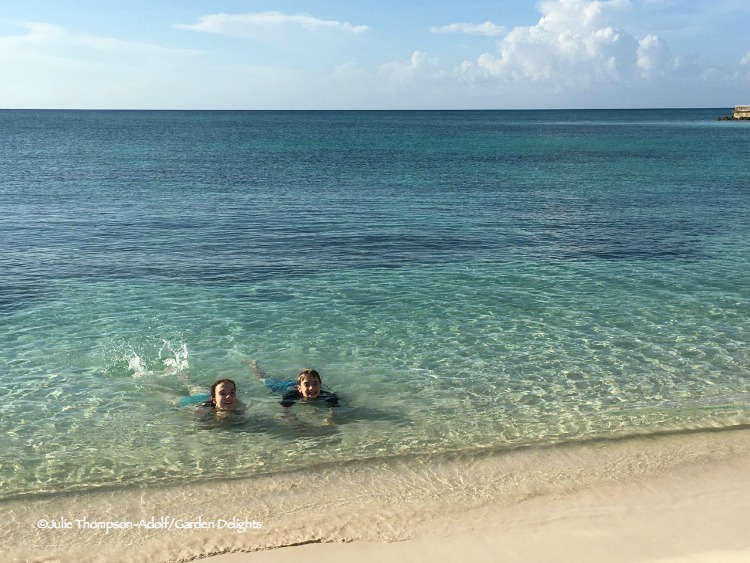 The kids loved snorkeling at Cabbage Beach–and even I snorkeled for hours here! Photo credit: Julie Thompson-Adolf, Garden Geek Traveling Mom. We enjoyed Cabbage Beach so much that we returned a few days later. Very easy access to snorkeling, and the sheltered cove keeps the water fairly calm. No amenities nearby if you head to the far east end of the beach like we did, though there are lots of resorts in the main area of Cabbage Beach. Because we need to explore all the local spots, we set off to the southwestern part of New Providence to check out Adelaide Beach. If you’re looking for a shallow beach for younger children, Adelaide Beach is ideal. Photo credit: Julie Thompson-Adolf, Garden Geek Traveling Mom. If you have younger children, Adelaide Beach is the right destination. The shallow waters are terrific for toddlers…and for those less confident swimmers. It’s also a good place to hunt for shells. Our son found several empty conch shells here. Again, the beach was nearly deserted. We saw one man and a toddler far down the beach. The shallow water continues far off the shore. I fussed at our son that he was too far out—and then he stood up. The water reached his waist. He and my husband swam out to a sandbar, and it was shallow the entire way. We’d passed the sign for Sandyport Beach a few times during the week, and our son wanted to snorkel there. When we looked at the beach earlier in the week, the waves seemed a little rough—and my family, thinking of my nerves, opted to look elsewhere for calmer snorkeling. My family likes me not drowning, apparently. Aren’t they good to me? Another day, another beautiful Bahamas beach. 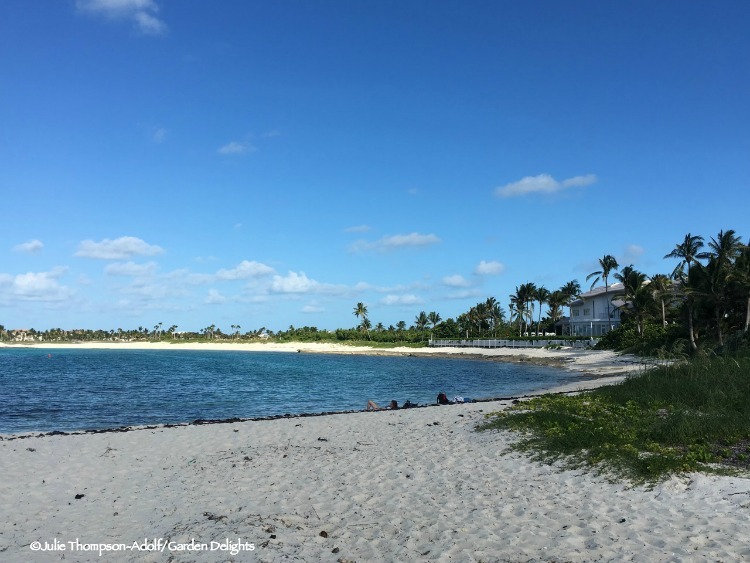 Sandyport Beach is right off West Bay Street–pull over, walk up some stairs, and hop in the water. Photo credit: Julie Thompson-Adolf, Garden Geek Traveling Mom. Toward the end of our trip, though, I encouraged them to check out the beach. I didn’t want them to miss out on a good snorkeling spot, plus the wind wasn’t as fierce as earlier in the week, so we spread out our towels, grabbed the gear, and headed to the water. Lovely beach, but I played it safe. No amenities on the beach, but there are restaurants nearby. Although we found the secluded, local beaches to suit our family’s privacy preferences, please watch for glass on the beach. We were surprised (and disappointed) to find broken bottles and glass shards on every beach we visited, without exception. (Not just a few pieces of glass, either.) Wear flippers when snorkeling and water shoes when playing in the ocean to avoid a trip to the ER. Is it really “Better in the Bahamas”? If you love beautiful, secluded beaches where wimpy swimmers can learn to love snorkeling, then yes–it really IS better in the Bahamas!